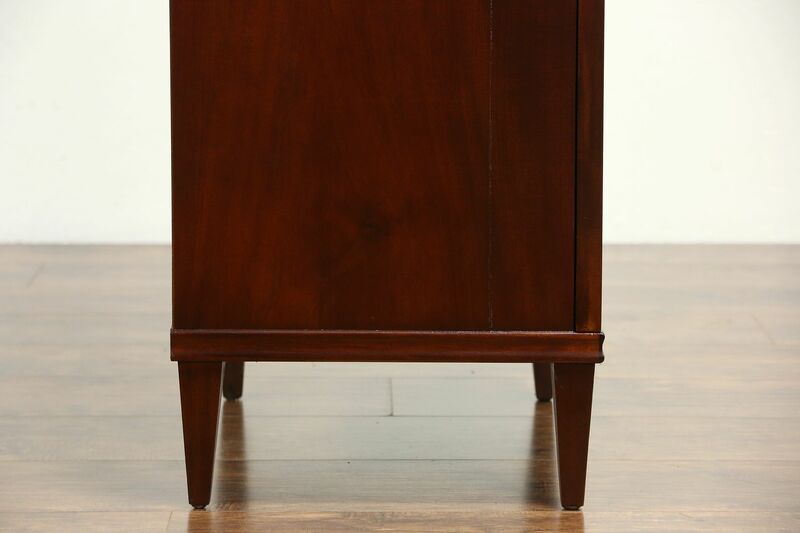 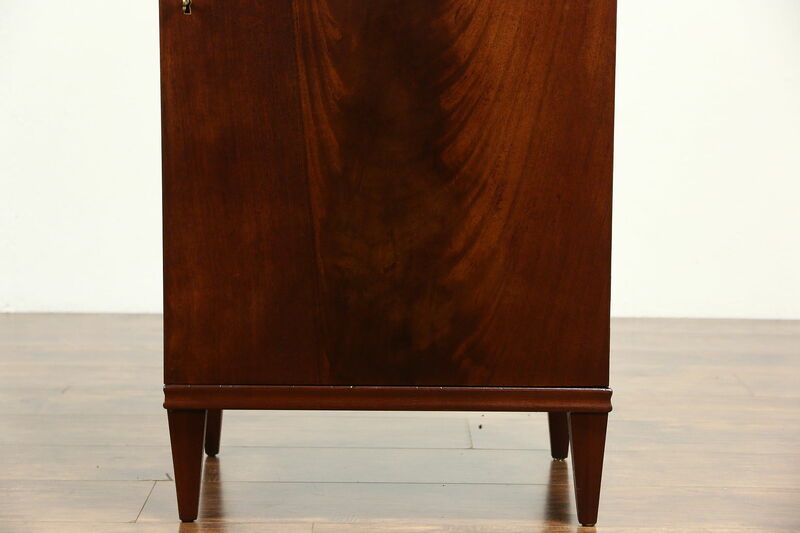 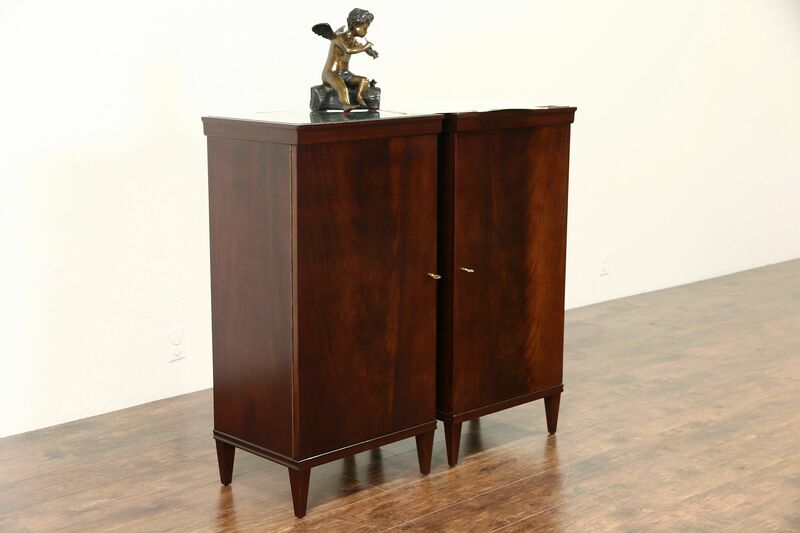 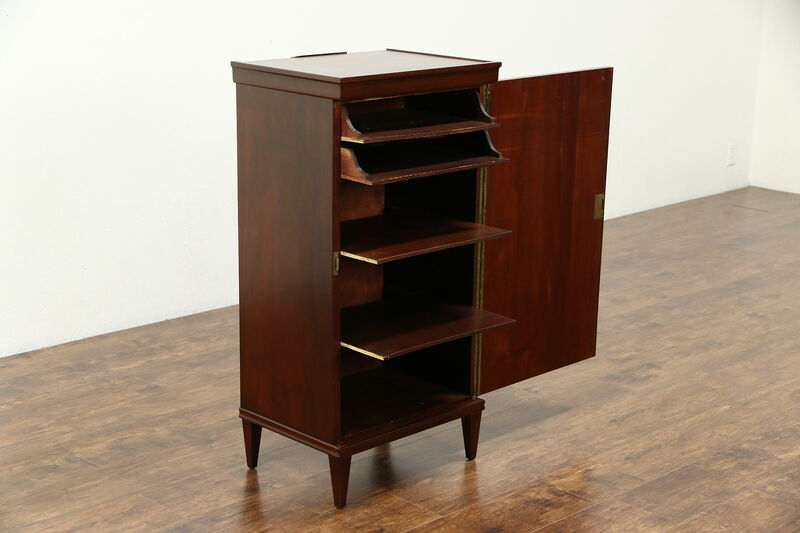 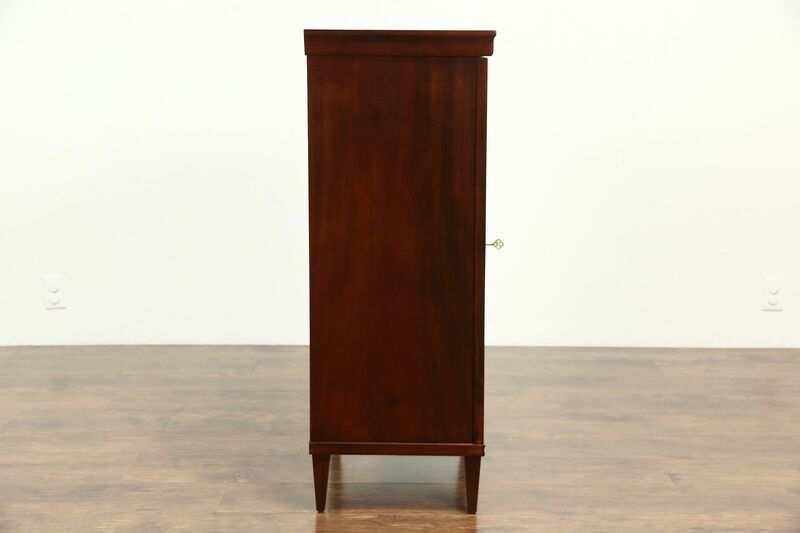 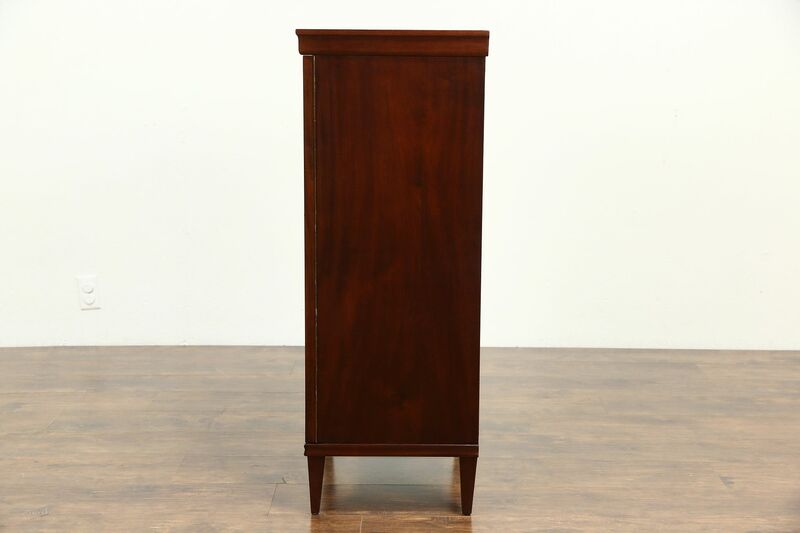 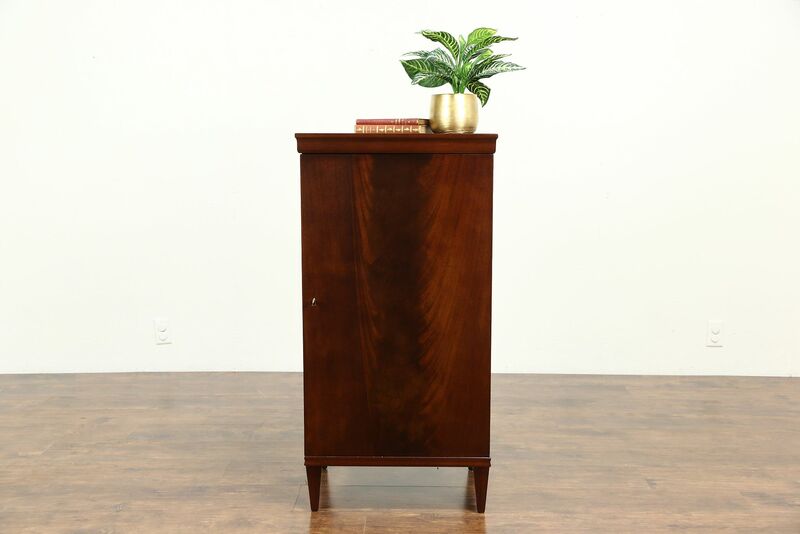 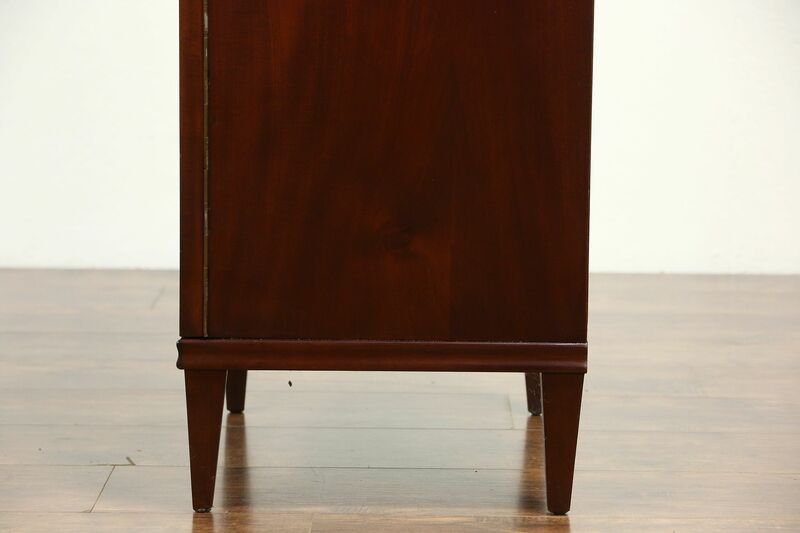 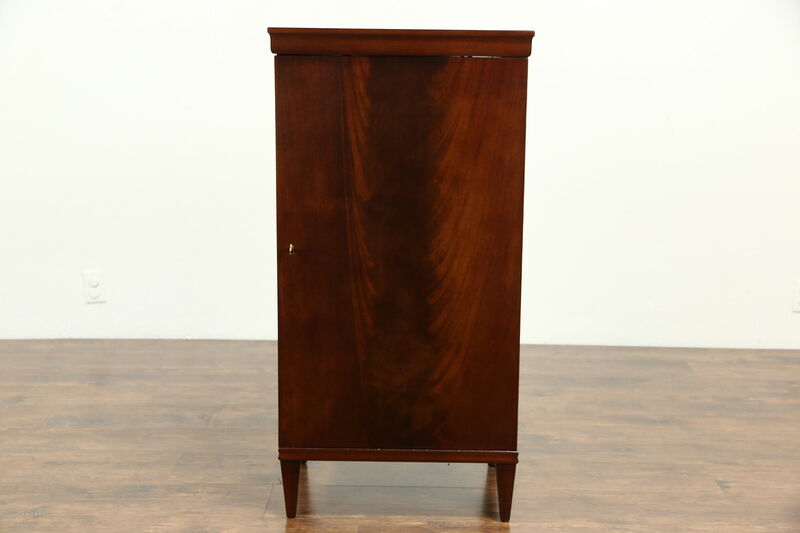 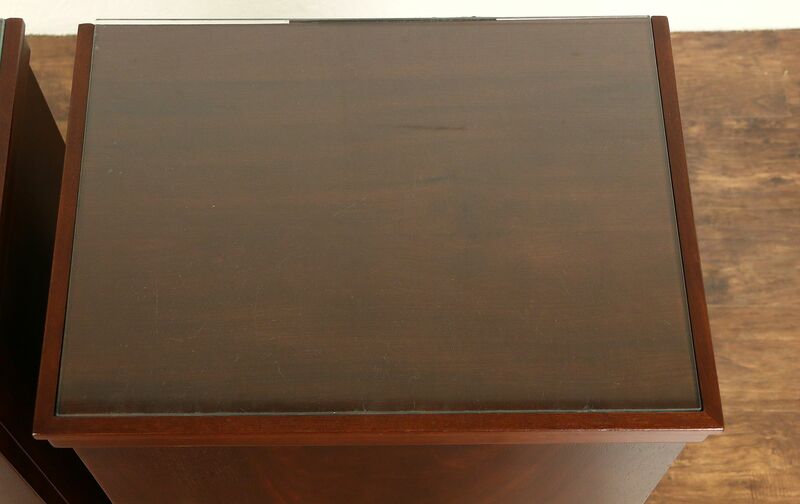 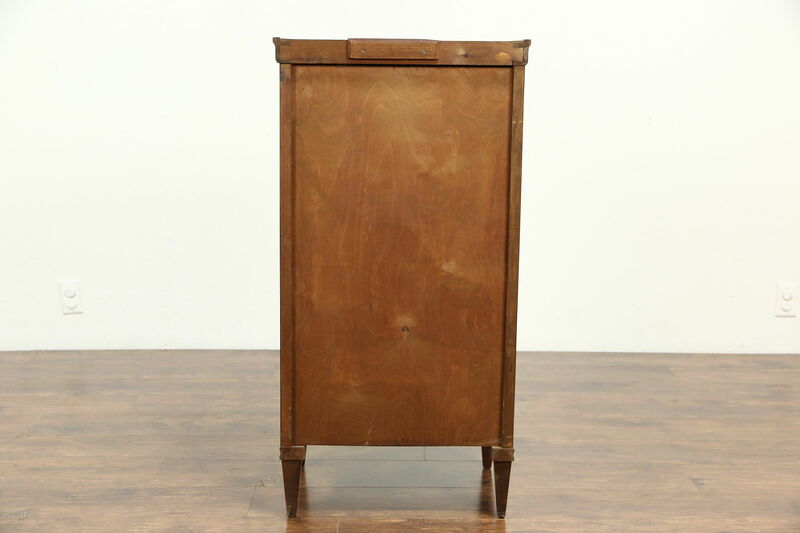 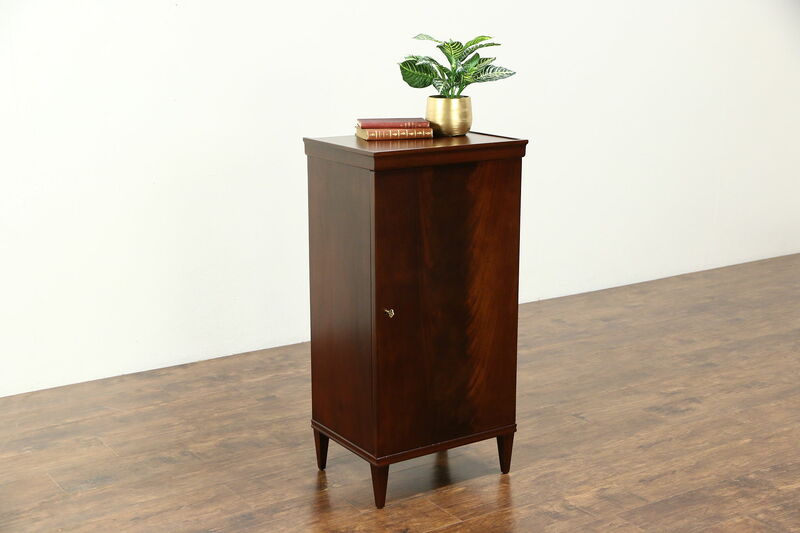 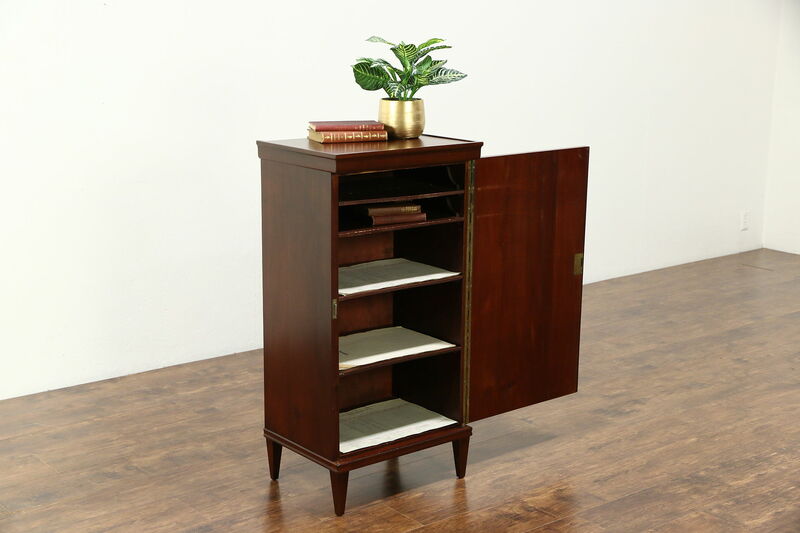 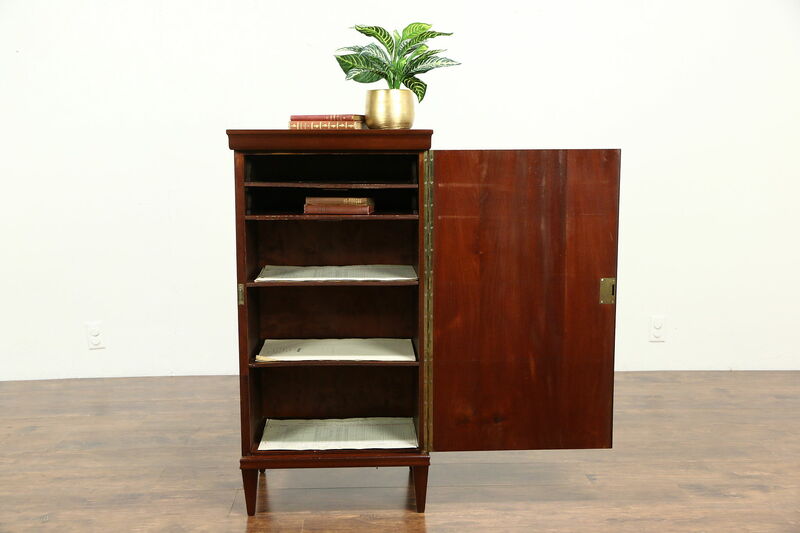 A music cabinet from about 1920 could be used as a pedestal for artwork or tall night stand. 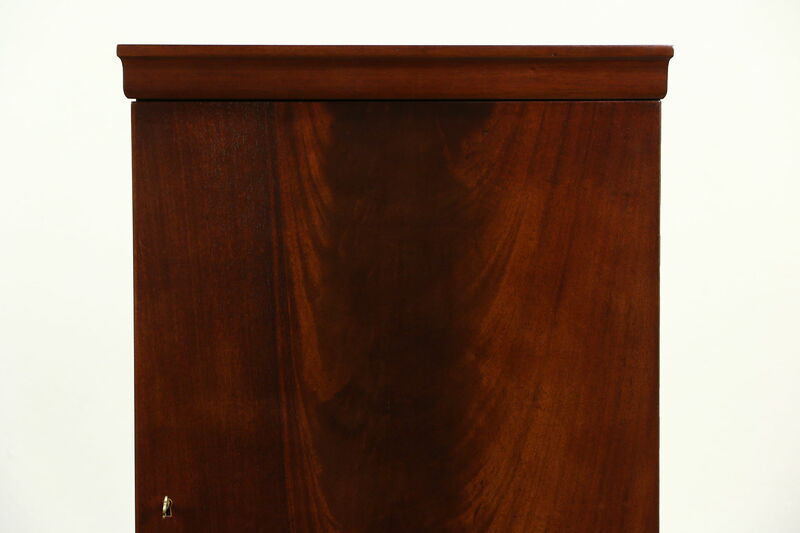 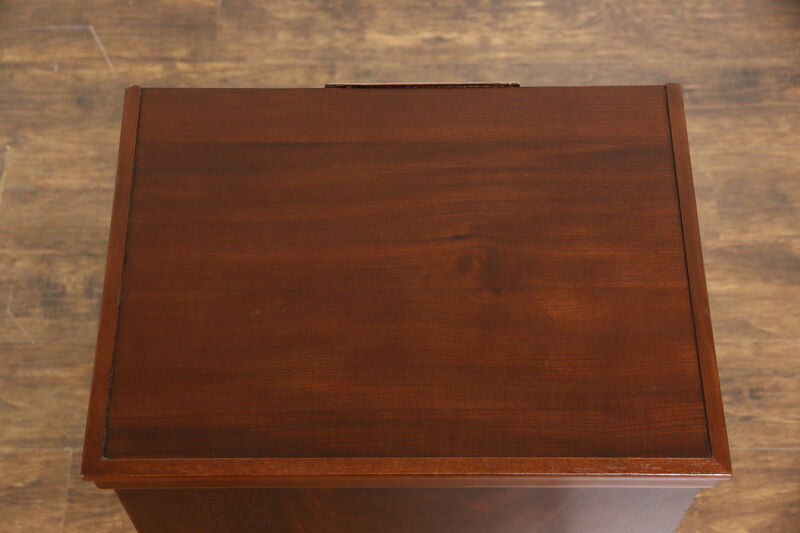 Mahogany with an excellent restored finish, there is a glass top on this American made antique furniture with clean lines. 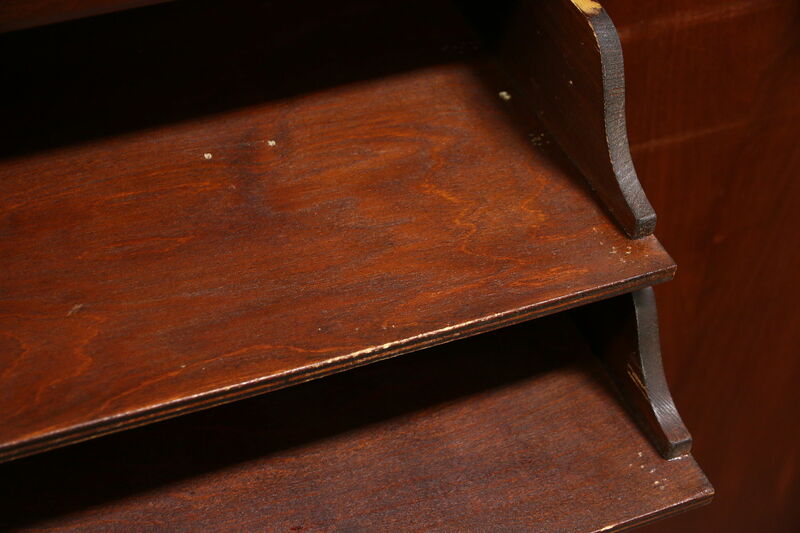 Lock and key work. 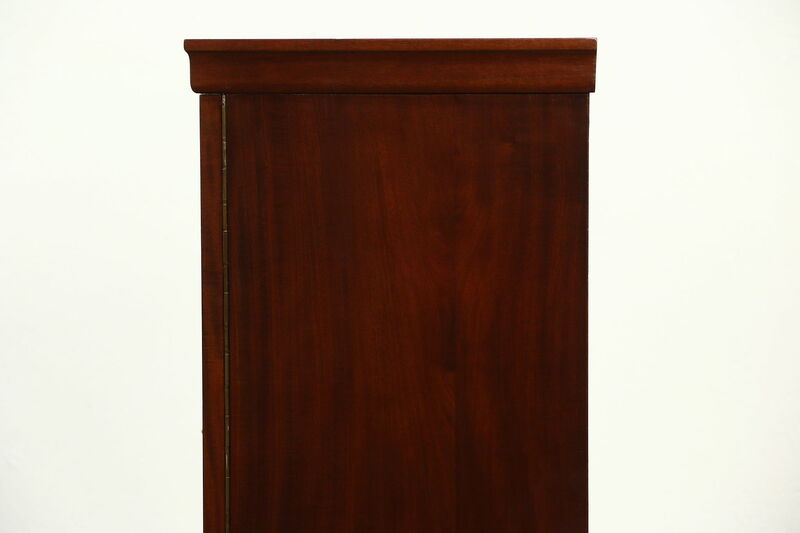 Measurements are 21" wide, 16" deep and 41" tall. 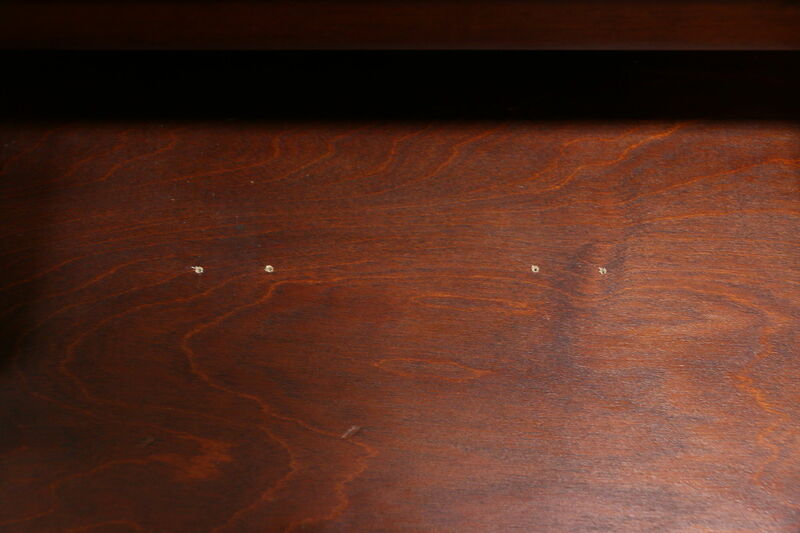 Please view 21 photos at full screen size for best detail. 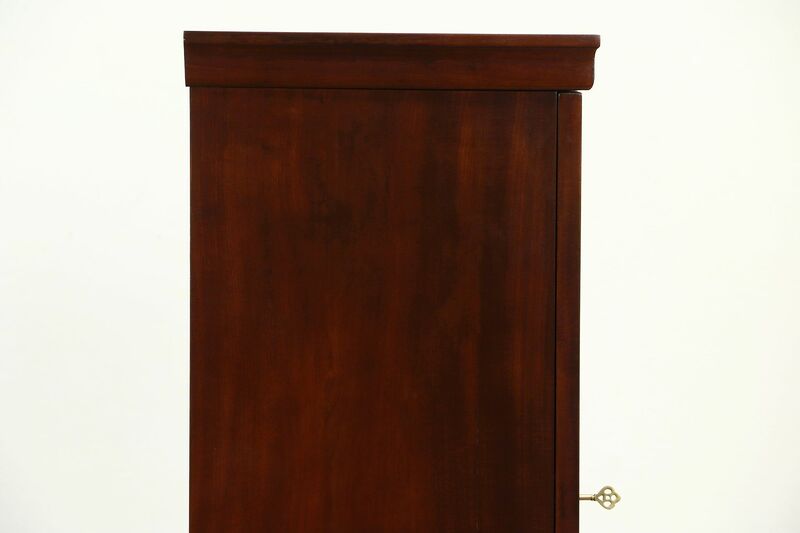 Matching cabinet is sold separately.